Manohar Parrikar's attendance at Goa budget session doubtful - Integration Through Media ....! 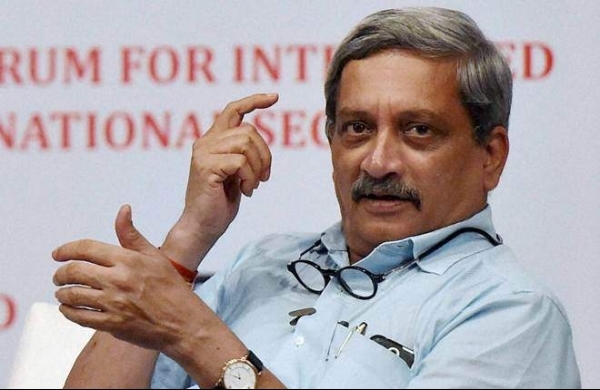 The development raises doubts about Parrikar's medical condition. Speaker Pramod Sawant told reporters on Sunday that a meeting of the assembly's business advisory committee had been called on Monday to decide on whether the budget session should be curtailed to three days. BJP sources said that Parrikar was not likely to attend the budget session on account of his prolonged treatment for pancreatitis, even as the Chief Minister's Office did not release an official statement on Parrikar's health as has been the practice since February 15, when Parrikar was rushed to Mumbai's Lilavati hospital for treatment of “mild pancreatitis”. On Saturday, the CMO denied reports that Parrikar underwent surgery, claiming on the contrary that the Chief Minister's health was improving. “The decision on who will present the budget will be taken at the BJP's legislative party meeting at 10.30 a.m. on Monday,” Deputy Speaker Michael Lobo said.